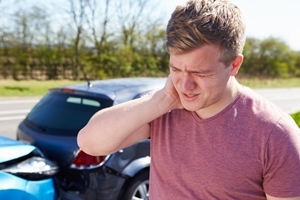 Car accidents can sometimes result in a serious injury. In fact, the World Health Organization (WHO) reports that as many as 50 million are injured or disabled in traffic accidents every year. After sustaining any injury in an accident, prioritizing your health is key—including keeping your doctor informed about your healing process, following care instructions, and arriving prepared at all scheduled doctor visits. Seeking immediate medical treatment. Right after your car accident, you should see a doctor. Your immediate response shows insurance companies that you view your injuries as legitimate and serious. Following up with your doctor. After initial treatment, it’s important to follow up with your doctor to discuss your healing progress. By doing this, insurance companies will see that you’re committed to your health. Following all instructions. After sustaining serious injuries, you might have to work hard to take care of yourself. If your doctor recommends less activity or better diet to help improve an injury, you must follow instructions. Taking all medications. Whether your doctor prescribes painkillers, antibiotics, or other medications, it’s important you read and understand all labels to take medications appropriately and as instructed. Asking questions. If at any time during your treatment and healing process you feel you don’t understand instructions or the reasoning behind a certain recommendation, ask your treating medical staff for clarification or get a second opinion. Part of prioritizing your health includes fully understanding your treatment. Being prepared. When you meet your doctor for initial treatment and follow-up appointments, you must help your doctor gain a full picture. This includes providing complete medical history and keeping track of your day-to-day management of pain and symptoms, often by recording them in a journal. Anxiety. After being injured in a car accident, you might find it overwhelming to drive again or even be in a car. Don’t take this feeling lightly. Seek professional help, and keep a journal to track your anxious feelings when they occur and their severity. Depression. Loss of sleep, loss of interest, fatigue, and aches and pains are all symptoms of depression. Though a depressive episode caused by a car accident might be temporary, you should seek out help from a counselor to manage and improve these feelings. If you’ve been injured in a car accident, you need trusted legal help, so you can focus on your physical and mental health. The team at Kirshenbaum & Kirshenbaum is here to answer your questions and help you understand your options for recovering compensation for injuries. Get started on your case by calling 888-591-9976.